Natural disasters and power outages never come at a convenient time. As the number one name in Southern California’s generator service market for over 50 years, Duthie Power has seen many disasters. That’s why Duthie Power’s Emergency Response Team can be counted on 24/7, 365 days a year to restore power with one of the largest backup generator rental fleets in Southern California. From the massive 2011 power outage in San Diego County to a Christmas Eve power outage at two major retailers, Duthie Power’s emergency power service team was there to keep the lights on uninterrupted. These are a few real life stories about our team of unsung heroes doing their job at a moment’s notice. Darkened stoplights and halted service of electric trolleys disrupted traffic and immobilized many in San Diego. What was the cause? A 500-kilovolt high-voltage transmission line from Arizona to California failed and, in turn, knocked the San Onofre nuclear power plant offline. While many families took sensible steps in the crisis, such as turning off and unplugging electronics, larger facilities relied on emergency backup generator rentals. Duthie Power’s Emergency Response Team worked around the clock for several days supplying over 100 rental generators from our fleet to power everything from casinos and grocery stores to hospitals and government buildings. 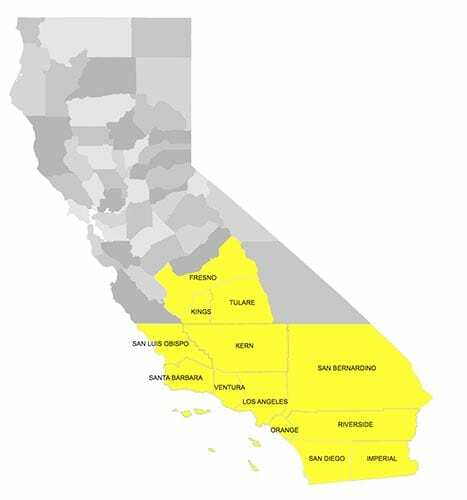 San Diego County is the southern border of Duthie’s service area map, but we can also provide emergency power services to areas as far north as Fresno County. And, sometimes, the emergency is closer to home, in Long Beach. In July of 2015, Southern California Edison (SCE) had a rough time in Long Beach. Back-to-back outages in downtown Long Beach caused by “insufficient oversight of the city’s secondary power network” led to flying manhole covers, underground fires, and the loss of power to 30,000 customers. Downtown Long Beach is home to a diverse group of businesses and people- from the Aquarium of the Pacific to healthcare companies and senior residences- that quickly needed an emergency power service to ensure the safety of their occupants. Duthie Power was available at a moment’s notice with its backup generator rental fleet and team of technicians to supply backup power. 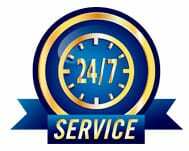 We guarantee a 15-minute telephone response time with a typical 2-hour on-site arrival. Although SCE worked diligently to restore power, it can be difficult to predict when power will be restored in the midst of a crisis. Duthie Power accommodates this uncertainty with flexible rental programs- by the day, week, or month. Our technicians are also available for round-the-clock monitoring of backup generator rentals from our fleet, including installation, maintenance and refueling. Some of our clients don’t rent backup generators because they own an emergency power supply system. For those clients, being prepared requires service agreements with regularly scheduled maintenance so their equipment is ready to provide emergency power service when they need it. We also have smartphone compatible remote monitoring that alerts customers of issues in their power supply. We have one last story to share. ‘Twas the night before Christmas, literally, and two of Long Beach’s major big box retailers lost their power. Luckily, Duthie was there to give an assist to Santa and the (most likely) Dads at these stores by quickly setting up backup generator rentals and keeping the stores open late into the night. Christmas Eve was saved and no one knew the wiser. “Losing power” isn’t necessarily good PR for a business or city, so often times our Emergency Response Team and their work goes unrecognized. Nevertheless, we take pride in being able to provide our emergency power services swiftly, dutifully, and proficiently. Call us today to learn how we can assist you with your emergency power supply system or backup power plan. We have 50 years of experience to make sure you are prepared when the unexpected happens.